Alcoholic hepatitis involves an acute or chronic inflammation of liver occurring as a consequence of alcohol abuse. The pathological changes occur in 3 stages namely, fatty liver, alcoholic hepatitis and cirrhosis, with the final stage traditionally considered to be irreversible. Alcoholic liver disease is responsible for a significant number of premature deaths per annum all around the globe. There is an urgent need to educate the masses about the hazards of alcohol abuse. An efficient system to encourage and prolong the period of alcohol abstinence is the need of the hour. The importance of lifestyle modifications like weight reduction and cessation of smoking in the progression of liver disease needs to be communicated to the patients and the medical community as well. Moreover, realization of the role of nutrition in the management and recovery of ALD would enhance the treatment strategies for this condition. 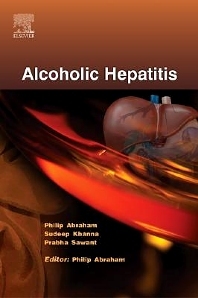 This book has been designed to update the readers on the important aspects of ALD and is a step forward to enable the society in combating the social and economic losses that occur as a result of alcohol abuse. The book has stressed upon various aspects of ALD like the role of nutrition, epidemiology and pathogenesis, and the possible therapeutic strategies involved. Supportive case scenarios have also been incorporated with relevance to the topics covered under the book. Overall, the book presents to the readers an excellent compilation of clinically applicable literature sourced from the most acclaimed physicians in the country.